Having trouble with this message? View it online. 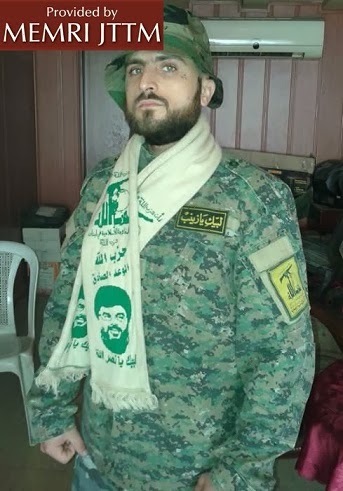 Videos and images that surfaced recently show members of Los Angeles gangs fighting in Syria alongside pro-Hizbullah and pro-Assad forces. 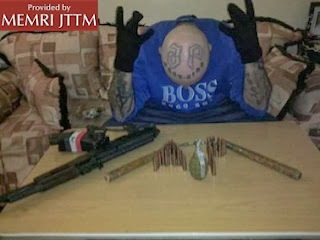 Two gang members, "Creeper," from the G'd Up-13 gang and "Wino," from the Westside Armenian Power gang, filmed themselves shooting AK-47s and boasting of being on the "front lines." 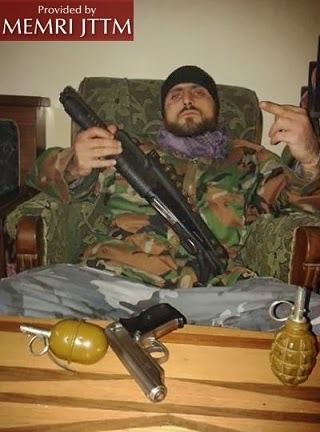 Wino, aka "Wino Ayee Peeyakan," whose real name is Nerses Kilajyan, uploaded the images and videos to his Facebook profile. 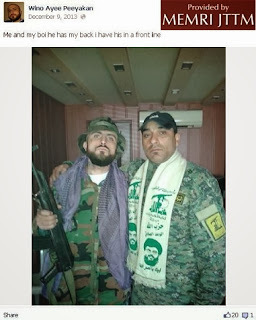 The images on Wino's Facebook page include multiple photos of him brandishing weapons; in one he is seen standing beside a Hizbullah operative, and in another he himself is wearing Hizbullah garb. Creeper is photographed and filmed alongside Wino in multiple photos and videos posted on the page. Judging by the photos, Wino seems to have been fighting in Syria since December 2012. Comments by Wino's Facebook friends suggest that the two were deported from the U.S. due to their involvement in criminal activity. Stills from MEMRI TV clip of gang members. Facebook.com/nerses.kilajyan, accessed March 2, 2014.